If you’re looking for wonderful art as a gift for that special occasion why not consider a Gift Certificate. 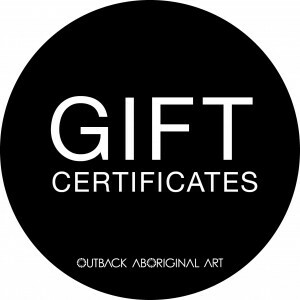 Your family member or friend can then select something they would love from our extensive range of Aboriginal Art. The Gift Certificate will have the name of the recipient, the date issued, the amount and validity (one year from the date of purchase).